Sunday, February 22, 2:00 p.m.
Mort Foxman's dying wish is that his wife and four children sit shiva for him. With acute and sardonic perception, we view these seven days of enforced togetherness through the eyes of the middle son, Judd. Soon to be a major motion picture starring Jason Bateman, Tina Fey, and Adam Driver. Jonathan Tropper reads from This is Where I Leave You. Jonathan Tropper , This Is Where I Leave You. 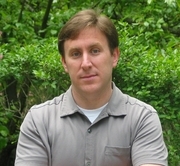 Jonathan Tropper is currently considered a "single author." If one or more works are by a distinct, homonymous authors, go ahead and split the author. Jonathan Tropper is composed of 4 names. You can examine and separate out names.